After breakfast we have a 3 hour private city tour in a minibus where you will see the most important sights of the city which include Murillo Square, the museums in Jaen Street, the Handicrafts Market, the Witches’ Market, Moon Valley, etc. We will arrive at our eco-lodge around midday, where you will receive a refreshing glass of fruit juice as a welcome drink before being shown your accommodation. We will then have lunch. In the afternoon we will walk along a trail called “small dry creek” where you will see a variety of plants and learn about their many uses. These plants are used for medicines, crafts and construction materials. 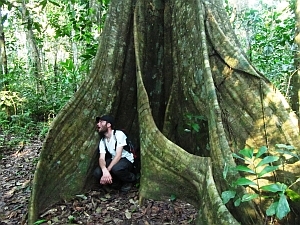 With a little luck we will see some species of monkeys, peccaries, birds and many insects. After dinner we can relax. We will get up at 6.00 am and have breakfast before returning to Rurrenabaque where we will arrive at about 8.30 am. We will immediately leave for Santa Rosa. We will travel in a comfortable vehicle equipped with seat belts and air conditioning. Along the way we will have great opportunities to see sloths, anteaters, toucans, and other animals. Around midday we will take a boat trip of about 15 minutes to our eco-lodge, “The Turtles”. You will be shown your accommodation and we will have lunch. 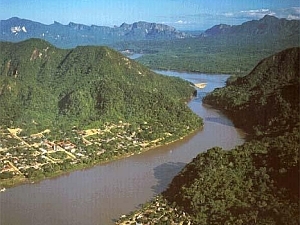 In the afternoon, after a rest, we will go along the River Yacuma by boat to look for and take pictures of caimans, capybaras, turtles, and a great variety of species of birds and others. Before we return we may be able to swim with the beautiful pink river dolphins which live in this wonderful place. (This is dependent upon the season.) You cannot swim with the dolphins all year long, normally just in the rainy season, December to February and a bit later. We have dinner in our Eco-Lodge and enjoy the evening. We will get up early (5:00 am) to watch the sunrise and listen to the sounds of howler monkeys and many birds, which herald the awakening of the pampas. We will have breakfast and then go back out on the River Yacuma looking for a good place to walk and look for anacondas, which with a little luck, we will find. 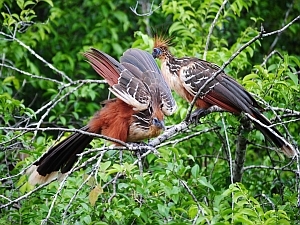 During our tour we will continue to see a variety of birds, capybaras, caimans, turtles and other animals. Then after lunch we will take the car and return to Rurrenabaque where we take the plane back to La Paz. When you arrive we will arrange a private pick up and transfer to your hotel in La Paz. This day is for free time. You can also book one of our half-day or full-day tours from our website. At 8 pm you have a private transfer to the tourist bus to Uyuni. 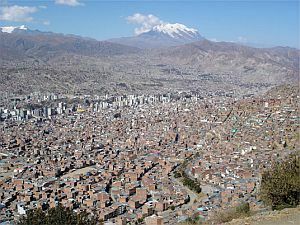 There is also the possibility to spend the night in La Paz and fly to Uyuni early in the morning (flight time of 1 hour). We arrive in Uyuni around 07:00. We walk to the office where we begin our private tour “Salt Flats 3 days-2 nights” at 10:30. Until then we have some free time. We begin our tour in a jeep with the visit of the train graveyard, locomotives that were used in the 19th century. In the village of Colchani at the beginning of the Salt Lake we see piles of salt for the production of salt. Here you can buy souvenirs made out of salt. On the Salt Lake we can often see bubbling salt springs, which are called Eyes of the Salt Lake. Underground water streams break through the salt crust here. In the middle of the Salt Lake we see a hotel made out of salt. On Fish Island (Isla Pescado), which stands out like a fish from the salt lake, there are craters and you can see cacti 8 metres tall. We have a small lunch on the island. There are 2,5 hours of free time for us to discover these unique sights. At the end of the afternoon we drive to the hotel “Tayka de Piedra” (Mother Stone), which is located in the village of San Pedro de Quemez. We have dinner and have some time to relax. We have breakfast at 07:30. Afterwards we continue our trip towards Eduardo Avaroa Park. On the way we see the Chiguana Salt Flat where there is a military control point. Around midday we reach the 5 lagoons, Cañapa, Hedionda, Chiar-Khota, Ramaditas, and Honda. We admire a large number of birds typical of this region. 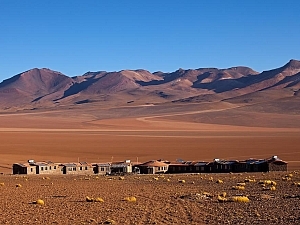 While we have lunch we enjoy the spectacular landscape of the Altiplano, (High Plain). We continue our trip towards “Ojo de Perdiz”, Eye of the Partridge, where the “Tayka del Desierto” (Tayka of the Desert) hotel is located. It’s a desert landscape which appeals to us in a unique way. We have dinner and have some free time. The third day of the tour begins early with breakfast at 06:30. We continue our trip and see the “Arbol de Piedra” (the Stone Tree) before we reach Eduardo Avaroa National Park. The Laguna Colorada, “Red Lagoon” is located at 4200 metres and is known for its variety of pink flamingos. We can observe fumaroles and geysers here. There are hot springs where you forget the cold morning. 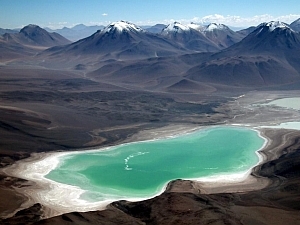 The trip continues to Laguna Verde (Green Lagoon) and to Laguna Blanca (White Lagoon), which are on slopes of the Licancabur Volcano. After we visit these lagoons we drive back to Uyuni arriving at 18:00. 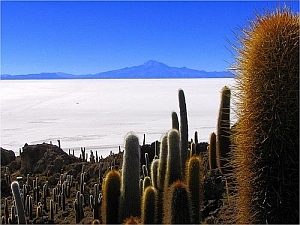 There is still time for a walk in Uyuni. 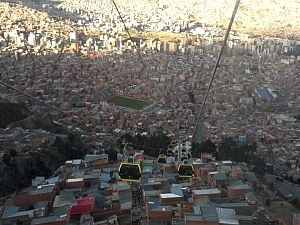 At 20:00 we board the tourist bus back to La Paz. 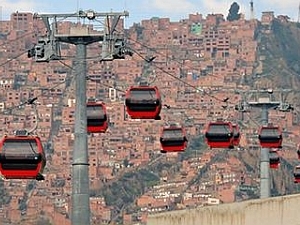 There is also the possibility to fly to La Paz the same evening (flight time of one hour) and spend the night there. 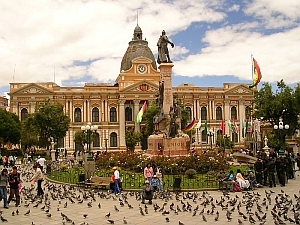 We arrive in La Paz around 07:00 and have after our private transfer to the hotel the rest of the day free. We visit the Palace of Pilcocaina, archaeological ruins from the Inca period. Afterwards we hike in about 50 minutes to our hotel. 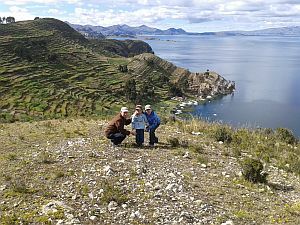 During this hike we have fantastic views of the Andes Cordillera Real mountain range and the majestic Lake Titicaca, at an elevation of 3850 metres the highest navigable lake in the world. You can partly see the lake even from both sides of the island. We will have dinner and have time to rest. After breakfast we hike to the harbour of Yumani where the boat takes us back to Copacabana (90 minutes – private or tourist boat). We walk along an old cobblestone Inka path before we go down the steps of Yumani. We also see the fountain of youth – another Inca ruin. 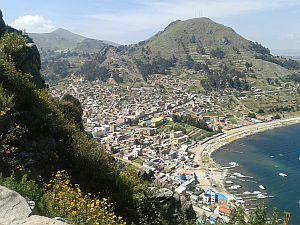 We have lunch in Copacabana before taking the tourist bus back to La Paz. We spend the night in La Paz. Pick up from your hotel and transfer to the airport or bus station. Overnight stays in 3 star hotels or hostels with double rooms and private bathrooms and showers, breakfast included. 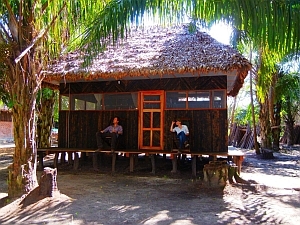 In Rurrenabaque on the tour there is an Eco-Lodge with double rooms, in the Pampas with private shower and toilet, in the jungle in double rooms with shared toilet and shower, on the Island of the Sun in an Eco-Lodge. tourist bus to and from Uyuni with dinner and breakfast, airplane tickets La Paz – Rurrenabaque – La Paz, 6 private transfers from the airport (bus station) – hotel – airport (bus station) – and shared transport in Rurrenabaque. English speaking tour guide (besides the driver) for the tour Salt Flats is possible.